Ganapatya were a sect in Hinduism like Shaivites or Vaishnavites who exclusively worshipped Ganesha as the Supreme Truth. The teachings of Ganapatya cult is found in the Prapanchasara Tantra, Mudgala Purana, Ganesha Purana, Ganapati Upanishad and Ganesha Gita. 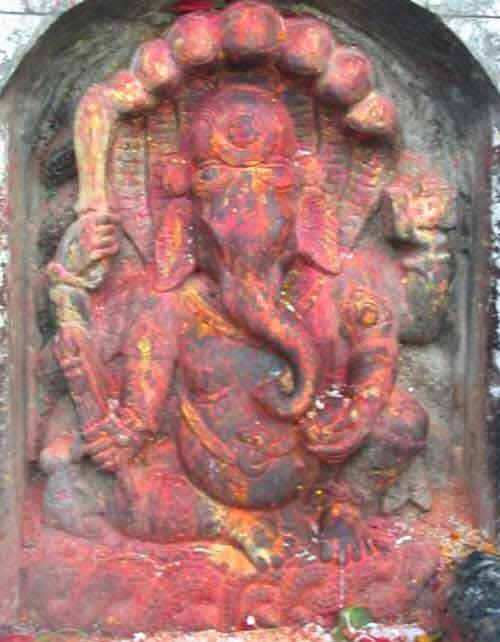 Ganapatya sect were a popular and powerful sect during the medieval period but they lost relevance as Ganesha was incorporated into the puja and rituals of all Hindus. Shaivites, Vaishnavites, and followers of Goddess Shakti all worship Ganesha in the beginning of any puja, ritual or auspicious occasion. Unmatta – Ucchishta and another minor sect known as Herambas were Tantric sects. Prapanchasara Tantra text is associated with Tantric worship of Ganesha. Today Ganapatya sect are found only in some regions and their numbers are far and few between.